With conference championship weekend looming, the pool of teams with a shot at the College Football Playoff has narrowed considerably. Here's every team that still has a chance. WASHINGTON — We’ll get the penultimate College Football Playoff rankings Tuesday evening, and we’re sure to see some movement after last weekend’s results. But at this point in the game, there are only a select group of teams with any realistic chance of making the final four. Let’s look at who they are and what they need to do to earn a chance to play for the national championship. 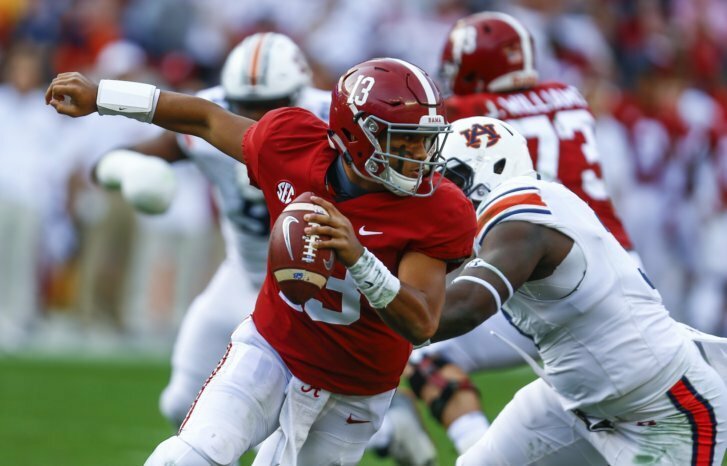 Alabama is so far ahead of the pack that even a loss in the SEC Championship Game will likely not be enough to derail a top four finish and a playoff appearance. As it has been all season, it’s Alabama and everybody else.